Desirable 3 bedroom, 3 bathroom, ranch style bungalow in beautiful Millcreek Subdivision. This home features a large eat in kitchen, main floor laundry, gas heat, central air, hardwood and ceramic tile flooring throughout the main floor. Master Bedroom has both an ensuite bath and a walk in closet. Basement is partially finished with a rough-in for a 4th bathroom. 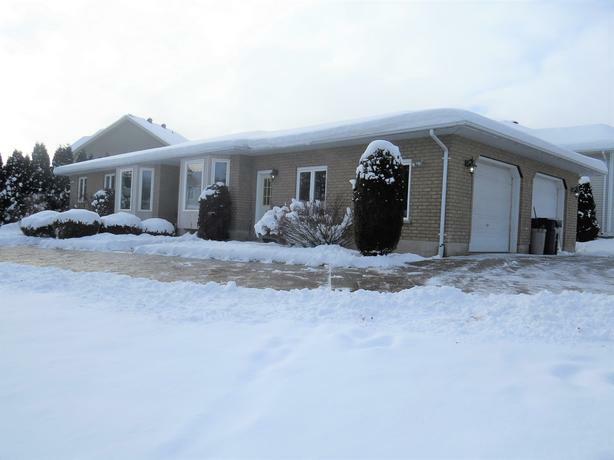 Spacious 2 car garage with a large stamped concrete driveway, and a new roof in 2014. A custom home in a prime location. Nothing left to do but enjoy!